The aim of this unit, chaired by Keith Small and Luke Treadwell, is to provide a cross-disciplinary setting in which to explore questions concerning the Qur’an’s text in the areas of its manuscript history and its textual representation in Islamic material culture. This will provide a broad forum to explore the historical context of the Qur’an from various eras, as well as such diverse but related topics as the palaeographic, codicological and art historical study of the Qur’an’s manuscript history, and the various epigraphic media of Islamic material culture. This unit will consist of two panels. One will use as its focus the study of these issues as they apply to manuscripts. The second will focus on the study of these issues as they apply to epigraphic materials. See the official call for papers here for further details. 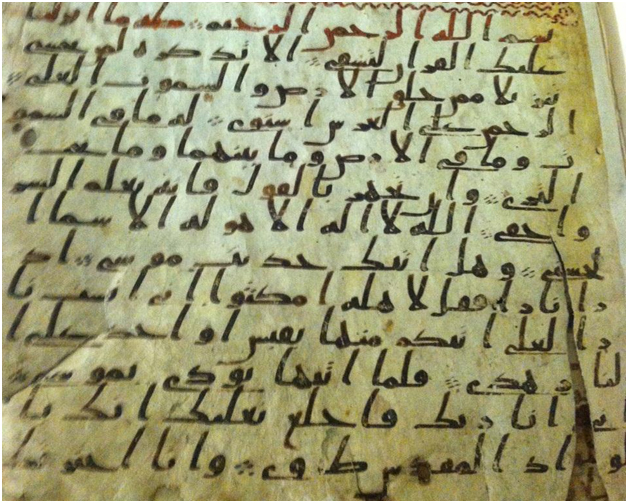 This entry was posted in Uncategorized and tagged IQSA Call for Papers 2014, Keith Small, Luke Treadwell, Qur'an historical context, Qur'an material culture, Qur’an Manuscripts, San Diego IQSA meeting 2014 by iqsaweb. Bookmark the permalink.